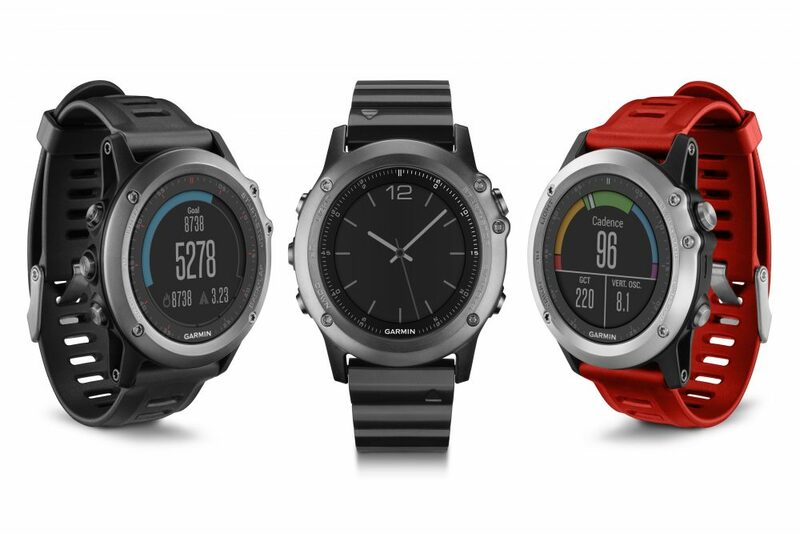 The Garmin Fenix 3 is a GPS fitness tracker with limited smartwatch functionality. I bought it in May 2016 to be my constant companion when I hike, trail run, Crossfit, and sleep. Here’s my review after tracking over a million steps with the device. I adore the Fenix 3. The watch was an expensive technology purchase, but I feel the money was well-spent. The Fenix 3 has met or exceeded my expectations in every area. Despite my ardent adoration, the F3 is not perfect. Folks shopping the Garmin product line should know that there is now a Fenix 5 line out. There was never a Fenix 4. However, I’ve not seen anything in the F5 line that makes me want to upgrade from my F3. How is the Fenix 3 form factor to live with? The Fenix 3 is big and bulky. I knew this going in, and so I don’t mind. I especially don’t mind because part of that bulk is due to the battery. However, the bulk does make it difficult to wear under cuffed shirts. The watch stands tall, so if you try buttoning a shirt cuff around the Fenix 3, you’re in for a tight fit. The bulk also catches when putting on or taking off a backpack. It’s very easy to catch a pack strap between the watch and your wrist. It’s also easy to accidentally bump a button during the pack on/off/on manuevers. That’s annoying if you don’t notice, because you can interrupt your GPS track on the trail in that way. I’ve adjusted for this problem by changing how I wriggle in and out of my packs to minimize the chance I’m going to get a strap caught or bump a button. Admittedly, this problem is not unique to the Fenix 3. The bulk can also be a challenge during weightlifting, particularly moves involving front rack position. When your wrist is cranked all the way over gripping the bar, it’s possible to bump a button accidentally. I’ve gotten in the habit of taking off the Fenix 3 and putting it off to the side during strength work. All I really need the watch for is tracking heart rate anyway, and I use a chest strap. Taking the watch off is no problem, as it still picks up the signal from the strap even when several feet away. The buttons on the Fenix 3 are large, raised, and easy to press, even with gloves on. I have gloves on for much of the year, so this is a big deal for me. Garmin got this right. Again, even with gloves on, the buttons are easy to press, have a strong rebound, and never get stuck. They are also far enough apart to avoid hitting two buttons at once. I’ve also had no issue operating the buttons when the Fenix 3 was wet or covered in snow. The Fenix 3 straps are sturdy, serious business. Most F3 models come with a rubber strap by default. This is my favorite strap choice thus far. The rubber strap is comfortable and has fine adjustments. Generally speaking, I can always find a comfortable circumference for the Fenix 3 when wearing the rubber strap. The rubber strap comes in a variety of colors from Garmin, which can matter depending on your use case. My strap happens to be a bright lightish blue I bought as an add-on. Bright blue stands out against snow as well as the forest floor. My logic is that if I drop the watch with a brightly colored strap when out in the wilderness, I’ve got a better shot of finding it on the ground. I bought a black leather strap in an attempt to dress up the Fenix 3, but it didn’t make it look like a fashion accessory, honestly. The Fenix 3 supports many different faces available via their app store, and some of them are nice and clean — what you’d think they’d look like when trying to dress the watch up. But even a nice face paired with the leather strap doesn’t make the Fenix 3 look like a dressy watch. It still reads “GPS sportswatch” no matter how hard you try. Besides that, the leather strap isn’t as adjustable as the rubber strap, and I never could get it to sit at the right tension on my wrist. Changing straps on the Fenix 3 is easy. Garmin-branded straps come with two star tools needed to unscrew the strap pins. The pins are serious business. They are not spring loaded, but rather are held in place with the two aforementioned screws that bolt the strap right to the chassis of the watch itself. The fit is confidence-inspiring. I graduated to the Fenix 3 from a Forerunner 305. The FR305 was knocked loose against tree branches while hiking several times. I never lost the FR305, but I had some close calls, where I looked down and saw the FR305 hanging by a pin on the velcro wrist strap I had it mounted to. No such fear with the Fenix 3. It’s hard to imagine what could knock it off your wrist. The screen of the Fenix 3 is described as “transflective” by Garmin. Being interpreted, that means the F3 screen is a color LCD that doesn’t need to be backlit to be visible. As long as some sort of light is shining on it, you’ll be able to read it. I find that during the day and anywhere that’s lit — say a room with the lights on — I have no trouble reading the F3 screen. At night, I use the lowest backlight setting — 5% — and find it sufficient to read the screen. How is the Fenix 3 as a GPS watch? The Fenix 3 has both GPS and Glonass receivers. Overall, my tracks are similarly accurate to the FR305. That is, not perfect, but good enough for my purposes. I hike in mountainous terrain, and the nature of that terrain means that the watch might only be able to see a limited number of satellites in the sky. With GPS, more satellites equates to better accuracy. Starting a hike in a valley or ravine and heading up towards a ridge might mean that the F3 isn’t getting enough GPS input to be overly accurate. But, I see this as a potential problem with any GPS watch, not a problem unique to the F3. Many of my routes are out-and-backs, so I can compare GPS to and from, knowing I was on the exact same trail. This reveals the margin for error, which is on the order of many feet either way. If you expect to use the Fenix 3 for navigation, you can, within those constraints. Don’t expect it to pinpoint your location on the Earth down to a meter. It can’t be relied on for that degree of accuracy, especially if the local topography is working against you. On a ridge with good views of the horizon, I’d expect it to be more accurate, since the F3 would have unobstructed views and be able to receive more GPS information with which to calculate position. I have had a couple of treks where the GPS track clearly lost its mind, which was a little disconcerting. Not a huge deal, in that I was traveling on well-marked trail, but odd results nonetheless. In these two cases, I could see wild variations in the track where nothing was quite right. Elevation as well as lat/lon position was simply too far wrong to attribute to poor satellite reception. However, that seems to be tied mostly to software. Garmin updates the F3 regularly. In recent months, I have had no strange tracks. There are various online discussions about the GPS accuracy of the Fenix 3 — much rage on the part of some people who, in my opinion, ask a little too much. I stand by my opinion that it is, on the whole, good enough. I don’t have an opinion of the Glonass functionality. I’ve run with it both on and off, and don’t seem to get a more accurate track. I shut it off a few months back, and haven’t bothered turning it back on. My theory is that shutting it off might conserve a bit of battery life. From what I’ve seen thus far, I would not make a future decision on whether or not a GPS watch also offered a Glonass receiver. “All hat and no cattle,” as far as I’m concerned. There is a breadcrumb screen. There’s also a “trackback” function. There’s a way to load in tracks and navigate using them. The breadcrumb screen is handy, especially on loop hikes. I’ve never used the trackback function, although I see it’s usefulness, especially for bushwhackers. I have not loaded a track into the F3 although that’s something I might try when heading off-trail at some point in the future. The Fenix 3 pairs with ANT+ sensors, right? Yes. I use a Garmin heart rate strap I’ve had for years, which works great. I also use a Garmin Tempe sensor clipped to the outside of my pack when hiking. The Tempe is awful. It works, but it’s slow to react to temperature changes. For example, expect at least 15 minutes to pass before the Tempe adjusts from the warm car to the cold ambient temp of the trail on a winter hike. The Tempe is also going to read falsely in direct sunlight, climbing far higher than the actual ambient temperature. I’ve clipped the Tempe to a strap that’s just under my pack’s “brain” compartment to help with the sunlight problem, but I’m not sure yet how much it might be helping. As frustrating as I find the Tempe is, it’s better than the F3’s built-in temperature gauge that’s always reading too warm because it’s so close to your body. The Tempe is also good on winter days to detect just how cold it’s getting as you climb. If it’s out of the sun and had time to fully acclimatize, it seems to have some connection to reality. There have been hikes were I’ve felt that we’d ascended through a layer into a colder zone, and sure enough, the Tempe would show that we’d bled off 5 or 10 degrees. Therefore, the Tempe is not useless. Just don’t plan on doing science with it. Is the Fenix 3 battery life as good as they say? I have not actually taken field measurements against the Garmin claims. However, the battery life is, by my standards, astonishing. During hiking activities, I set the F3 to take GPS readings on 1 second intervals, more aggressive than the default of 5 seconds. This uses more battery life. Even so, I can go out for a 10+ hour hike, which is a pretty long day, and have plenty of battery left over. I find that GPS activities are the most draining to the battery. If I do a Crossfit workout where all I care about is tracking heart rate, an hour plus of activity barely impacts the battery. The same is true just walking around wearing the watch. My F3 is usually Bluetooth connected to my phone, and usually on my wrist. The F3 is doing something almost always. It tracks the time, it tracks steps, it auto-syncs activities to the Garmin Connect cloud via my phone over Bluetooth, it tracks movement during sleep cycles, it estimates calories burned, etc. But none of that causes noticeable battery drain. In a normal week where I’m wearing the F3 almost constantly and doing 3-4 Crossfit workouts, I might use 50% of the battery. Maybe. To be honest, that seems like a high estimate. The battery life is that good. Not only is the battery life good, the F3 charges back to full power incredibly fast. If I dock the watch, it will be back to 100% charge in less than 30 minutes. I’m guessing as to the time. My normal habit is to dock it once a week or ten days when I think of it. I’ll wake up, dock, and do my morning routine. By the time I’m ready for the day, the F3 is, too. How is the Fenix 3 as a smartwatch? How good the functionality is here depends on what you want to do with it. You can’t make calls with it. You can’t store music on it. You can’t run social media apps on it. You can’t read or respond to e-mail with it. All you really get are a few basic features, many of which rely on a Bluetooth connection to your phone. 1. You get an app store. There is a Garmin app ecosystem called the Connect IQ Store. Developers using the Garmin Connect IQ SDK can make applications, watch faces, widgets (apps, more or less), and data fields (special fields you can configure to show up in your activity screens). Most downloads are completely free. Some downloads offer a level-up if you pay money. I can’t say I love the app store especially. It works, but there are limitations to this ecosystem. Many of the fancier watch faces don’t work right depending on what version of software you’re running on the watch. Alternatively, upgrading your watch (a good idea to keep up with bug fixes and core functionality) can break something you downloaded from the app store. Overall, I’ve gotten a bit bored playing with apps. Too many of them don’t work at all or eventually break. Therefore, every app you load incurs some technical debt. If you like to fuss, go for it. If you just like things to work, stick to Garmin-branded apps, as they seem to work more reliably overall. Core Garmin functionality is the safest bet. A niggling complaint is that Garmin really, really needs an app aimed at hikers. I have customized my own screens for my “hike” activity, but therein is the issue. I don’t want to have a bunch of screens to cycle through to get at all the information that might be interesting. Garmin limits activity screens to a maximum of 4 fields. I’d like the option of as many as 8. I want to be able to glance down at my wrist while powering up a trail and see all data fields that interest me. There’s enough pixels for it, and there are some “data fields” available in the Connect IQ Store that offer this functionality. I.e., it can be done. 2. You get notifications. On my iPhone, if a notification pops up, I can see it on the Fenix 3. About all that’s good for is checking my wrist to see the message, rather than popping my phone out of my pocket to check. And if I’m in my office, it’s utterly pointless as I can get notifications on any screen I choose. To be honest, the F3 notifications feature is defeatable, and I’m considering turning it off. I have almost all notifications turned off on my phone already. It’s hard to imagine the importance of any notification where checking it on my wrist would be especially important. 3. You get a few apps that do clever things. The Fenix 3 has a weather widget that depends on the phone to get the update. There is a music controls app that does…I don’t know what it does. Nothing useful for my specific use cases, which are Spotify and Overcast. The controls on the watch seem to be limited to working with specific apps only, and I just don’t care that much. I thought it would be useful to be able to play/pause/skip if my phone were in my backpack, but I almost never listen to audio on my phone when I’m out in the woods unless I’m camped…at which point I don’t need the convenience of the watch. There’s a Google Calendar app I downloaded from the app store that doesn’t stay synced unless I use one of my heavier hammers, so it’s essentially useless. In summary, don’t buy the Fenix 3 because you want a smart watch. It does a few basic things, but they are superfluous to what the watch really is. You didn’t talk about exercise apps and stuff. There are many detailed reviews of the F3 that talk about its usefulness for running, swimming, golf, walking, skiing, indoor rowing, and so on. Yes, the F3 can track all of those things and more. Mostly, they work. I have nothing to add to the many sports and fitness aficionados who’ve wet themselves silly writing and vlogging about these functions. Draw upon your very best Google-fu to fill in those blanks.